Watching the 11:00 news is a poor television choice prior to going to sleep. The news at night is the stuff of which nightmares are made. There we hear about the violence and pain that permeates so much of this world. Most of us would rather not think about it—and certainly not before retiring to our dreams. Yet we are neither blind nor deaf. We hear our world crying out to us for help, support and/or repair. Still, we remain overwhelmed by the magnitude of the need. We become paralyzed, unable to address any one problem without feeling guilty for not solving others. For some, discussing the problems of the world is like discussing the weather: we all talk about it, but no one does anything about it. In the Jewish Community, however, someone is doing something about it. That “someone” is the Jewish Federation of Greater Philadelphia (JFGP). When an elderly person lacks basic nourishment or medication, the Jewish Federation of Greater Philadelphia is there. When a family is in crisis, JF&CS is there. From finding suitable employment (JEVS) to providing psychological support, the Jewish Federation is there to help us locally. When it comes to caring for Jews in far-flung communities, “Hesed” Houses located in countries throughout Eastern Europe and Russia are there to assure that the needs of fellow Jews can be met. When a natural disaster strikes on the other side of the world or here at home, Federation responds. When programs in Israel need to be supported, we are represented there by way of the Jewish Federation. We live in a world of prosperity yet there remain millions who are hungry, some even starving. In a world of technological advances, there is a never-ending flow of people leaving their homes on foot to find a better life. We are neither blind nor deaf to those in need. To respond in a compassionate and Jewish way, we have the Jewish Federation. On Sunday, February 24, JFGP will hold its annual “Super Sunday.” During that one day, thousands within the Jewish Community will be asked to support JFGP. If you can help by making calls, click this link to sign up. I urge your participation. If you can’t make calls, your contributions are gratefully accepted. I hope that you will join me in one way or the other. When we see something that should be fixed, when we find someone who needs help, when we say, “someone should do something,” that “someone” is Federation. Federation deserves our support. 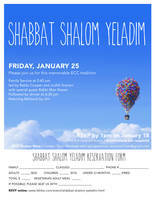 For a full listing of next week's events and the minyan schedule, please see This Week at TBH-BE. Uri Monson, on the loss of his mother, Dr. Rela Mintz Geffen (z"l). Julie Roat, on the loss of her mother, Dr. Irena Balis Sandler (z"l). Rebecca Rendell and James Lozada on the birth of a son. TBH-BE’s talented actors, singers and dancers will perform just two more performances of this Tony-Award winning musical sensation. Buy tickets at the door. 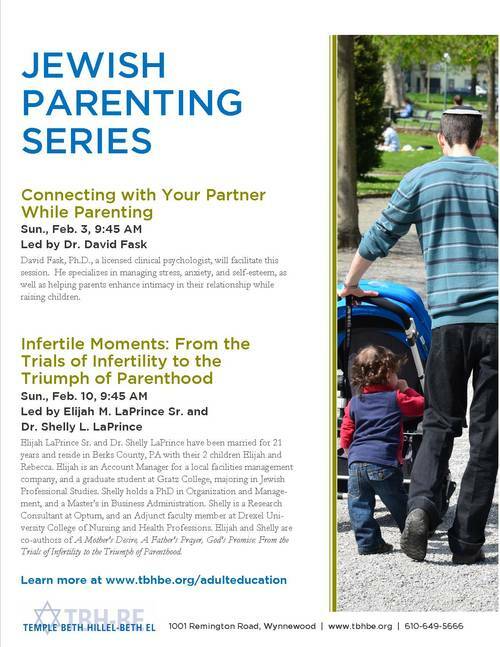 Elijah LaPrince Sr. & Dr. Shelly LaPrince, authors of A Mother’s Desire, A Father’s Prayer, God’s Promise, will share their 12- year journey with infertility. This story was once too difficult to talk about, but now it has encouraged so many to know that they are not alone in this journey. 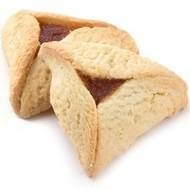 Purim will be here before we know it! 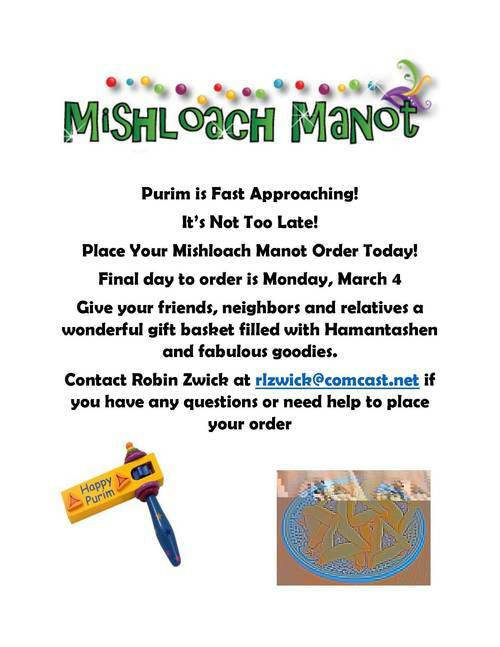 All Mishloach Manot orders are due by March 4. It's Sisterhood's largest fundraiser but it's open to everyone! If you have questions, please contact Robin Zwick. We depend on volunteers to make Mishloach Manot a success! Help with bagging on Sunday, Mar. 10 at 10 AM and Wed., Mar. 13 at 3:30 PM or sign-up to make deliveries from March 13 - 19. 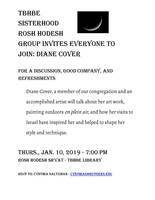 Please contact Caren Dash. 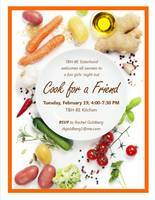 Kiddush Cooking Club Needs YOU! 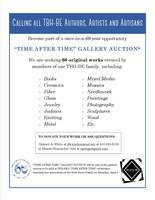 The "Time After Time" Gallery Auction is a once-in-a 60-year opportunity! 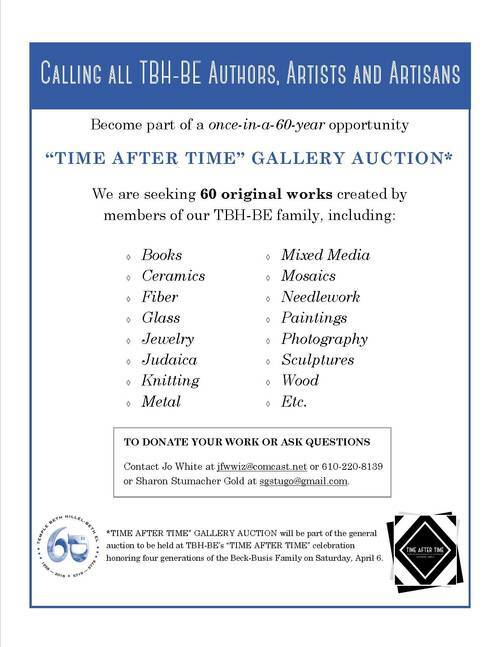 We are seeking 60 original works created by members of our TBH-BE family. Torathon 2019 continues a wonderful TBH-BE tradition—a one-night university featuring scintillating Jewish scholarship and down-to-earth discussions. 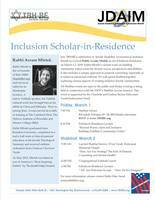 This year’s program offers the opportunity to learn from 15 distinguished scholars, rabbis and local experts. 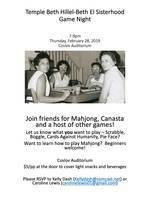 Join friends for Mahjong, Canasta and a host of other games (tell us what you want to play)! Cost: $5/pp at the door. RSVP Kelly Dash (Kellydash@comcast.net) or Caroline Lewis (carolinelewis01@gmail.com). Europe’s last pogrom in Kielce, Poland, in 1946 poisoned Polish/Jewish relationships for a generation. BOGDAN’S JOURNEY tells the story of Dr. Bogdan Bialek, a Polish Catholic who sought to heal the wounds and bridge the divide with descendents of Kielce’s pre-World War II Jewish community. Women of all ages and daughters welcome! 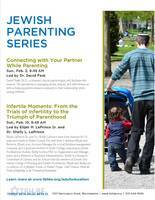 Co-sponsored by the Jewish Federation of Philadelphia, TBH-BE, Adath Israel, Aish Chaim, and Har Zion. Couvert $25 includes challah, aprons and pans. 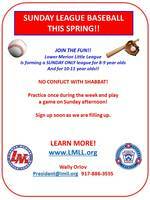 Lower Merion Little League is forming a Sunday only league for 8-9 years olds and 10-11 year olds that doesn't conflict with Shabbat! As socio-economic and demographic characteristics of the population change across the Greater Philadelphia region, the needs of communities will shift. To help to respond to these changes in a meaningful way, in early February 2019 you may receive a request to participate in a brief survey called Community Portrait. It will only take a few minutes to complete the survey. Your participation will provide a wealth of information to help to plan and provide services based on real need. The Hebrew Immigration Aid Society (HIAS) is specifically in need of twin beds.They should include all parts, be relatively new or good condition, and come from a bug-free home. (NO other furniture or beds of other sizes needed at this time.) If you have have twin beds that fit this criteria, email community@hiaspa.org to speak with HIAS PA about arranging pickup. 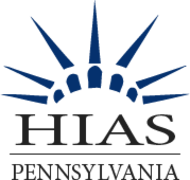 HIAS is also in need of winter and baby items, including winter hats, pacifiers and baby wipes. 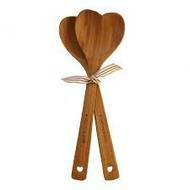 You can purchase these items online from their Target Registry . Lee Bender, on the loss of his mother, Maxine Bender (z”l). Temple Beth Hillel-Beth El welcomes Josh Warshawsky as our Artist-in-Residence. Josh will lead our community in spirited davening with new and familiar melodies, as well as teach our community throughout the weekend. Watch this video to get a preview of Josh or learn more about this weekend. 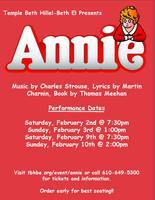 TBH-BE’s talented actors, singers and dancers will perform this Tony-Award winning musical sensation. Buy your tickets at the door for this weekend or get tickets online for next weekend. For many couples, marital satisfaction decreases substantially after children as parenting demands can force a couple’s relationship to take a back seat. Led by Dr. David Fask, this session is designed to give parents tools to navigate their relationship with their partners. "Mass Incarceration: What Can Jewish Sources Say About this Issue?" We welcome Janet Bauman, a lawyer and TBH-BE member, who will discuss why the US has the highest incarceration rate in the world and what we can learn from Jewish sources on imprisonment and justice. 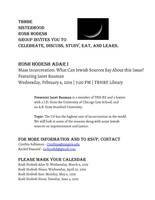 Purim will be here before we know it! 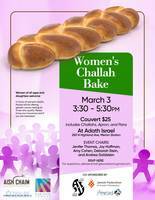 We look forward to receiving your Mishloach Manot donation by March 4. It's Sisterhood's largest fundraiser but it's open to everyone! If you have questions, please contact Robin Zwick. Note: It's NOT Super Bowl Sunday this year. Meet vendors for all of your party needs. There's something for every event worth celebrating. The Hebrew Immigration Aid Society (HIAS) is specifically in need of twin beds.They should have all parts that are relatively new, in good condition, and from a bug-free home. (NO other furniture or beds of other sizes at this time.) If you have have twin beds that fit this criteria, email community@hiaspa.org to speak with HIAS PA about arranging pickup. HIAS is also in need of winter and baby items, including winter hats, and pacifiers and baby wipes. You can purchase these items online from their Target Registry . This weekend, we welcome Rabbi Max Nissen, a candidate for the position of Assistant Rabbi, and his wife, Joy. 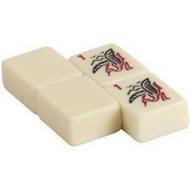 He will be joining us for the events noted with (*). He will also join us on Sunday for World Wide Wrap (8:45 AM), the Men's Club Silver Circle Award Brunch (10 AM), and a Meet and Greet (11:30 AM). 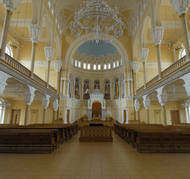 Additional information about this visit and background on Rabbi Max are available online. Please watch for a survey on our website to gather your feedback. Lynne Bucovetsky, on the loss of her mother, Mildred Kenton (z"l). Earlier this week, I wrote to the editor of the New York Times in response to a recent op/ed piece. That article, written by syndicated columnist Michelle Alexander, was entitled “Breaking the Silence on Palestine.” I don’t expect my letter to be published, at least not in this form, but I wanted to share with you the article from the New York Times and my response. You can read my letter here. 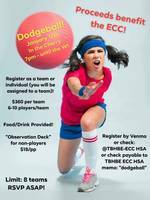 Please join us for this special ECC Tradition. The evening begins at 5:30 with L'Chaims and Light Fare. 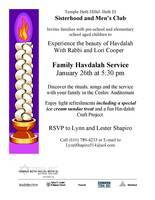 Enjoy light refreshments including a special ice cream sundae treat and a fun Havdalah Craft Project. 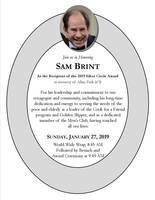 Join us in honoring Sam Brint, recipient of the 2019 Silver Circle Award, for his leadership and commitment to our synagogue and community. 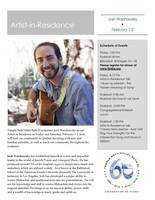 Temple Beth Hillel-Beth El welcomes Josh Warshawsky as our Artist-in-Residence. Josh will lead our community in spirited davening with new and familiar melodies, as well as teach our community throughout the weekend. This week, you should have received a mailing at home as well as an email with information about making a donation for Mishloach Manot. We look forward to receiving your donation by March 4. If you have questions, please contact Robin Zwick . Calling all Lower Merion School District Families! 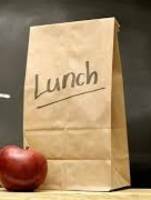 Please take this short question survey to assess interest in and a need for a summer program that would provide lunch and other nutritional support when school is not in session. Please respond by tomorrow. Lower Merion township is sponsoring an interactive workshop facilitated by the Anti-Defamation League (ADL) to provide resources and strategies to recognize and address issues of explicit and implicit bias, prejudice and discrimination. To register, contact Jody Kelley at jkelley@lowermerion.org or 610-645-6145 with your contact information. “Breaking the Silence:” What Silence Does She Perceive? Apparently, Ms. Alexander is too busy writing to read the paper for which she works where there are no shortage of articles loudly lambasting Israel for defending its border with Gaza against incursions by Palestinians who proudly and unabashedly explain their desire to infiltrate Israel and kill Israelis. No silence there. If one prefers, look at an article—any article—about the UN. In the UN, Israel—a sovereign state recognized by the UN—is routinely maligned, demonized and shunned by the Security Council more than any other country in the world. Voices against Israel are louder and more passionate than any others. No silence to break there. There is little sympathy for Israel whose citizens live surrounded by those who would kill them. There is no sympathy for Israelis who are attacked by knife-wielding terrorists whose targets are “any Jew.” But, when the attacker is killed, Israel is robustly accused of using excessive force. No silence there either. In short, whatever silence once existed, that silence was broken as soon as Israel was established. Ms. Alexander’s courage, which she channels from Rev. King, is hardly novel, persuasive nor particularly courageous. This is not about breaking the silence. This is about using the model of Rev. King as an excuse and justification for the hatred of Jews and/or Israel. Ms. Alexander’s moral courage, which apparently she needs to malign Israel, comes from her admiration of Rev. King who became a vocal and outspoken critic in 1967 of the Vietnam War. Here, I am at a loss regarding her use of King’s denunciation of the Vietnam War. Is the Israel/Palestinian conflict analogous to the Vietnam War? The US entered that war essentially to stop the spread of Communism from North to South Vietnam. Where is the analogy with the situation in Israel? Israel’s position today is not comparable to that of the US in 1967. The US, which fought on the other side of the world, in a war in which tens of thousands of Americans—disproportionately black—were being killed. Israel today fights on each of its borders and within its own borders. The attacks against Israel are attempts by radicalized terrorists to move closer to the ultimate goal of killing Jews and destroying the Jewish State. In the US in 1967, opposition to Vietnam arose from American youth. In Israel, you’ll not find a minyan-worth of Israelis who believe that Israel is not justified as it protects its citizens from danger and death. Where is the analogy, Ms. Alexander? To bolster her moral outrage against Israel, she cites some of those who represent the extreme fringes of the Jewish Community. Rabbi Brian Walt, Jewish Voice for Peace and “If Not Now…” are Jewish anchors of the radical left and anti-Israel beliefs. In no way are these groups or individuals representative of anyone in the Jewish Community other than themselves. Instead, Ms. Alexander should look at the large center of the American Jewish Community, many of whom (including myself) are upset with different issues and policies of the Government and yet we support Israel as the Jewish Nation-State of the Jewish People. It is from that constituency, the overwhelming number of Israel supporters in this country that one can characterize American Jewish support of Israel. The US/Israel relationship is complex. Ms. Alexander, however, is able to find clarity on political and moral issues from those who are by their own admission anti-Israel and/or anti-Zionism. They represent opinions very much on the fringe of the Jewish Community. If pressed, these group find common purpose with the leadership of the Women’s March (which was held last week) and with Louis Farrakkan and his anti-Semitic group, the “Nation of Islam.” Their goal is to ostracize and demonize and dismantle Israel as first steps toward Israel’s destruction. These views are implied in Ms. Alexander’s column. Despite Israel’s flaws, Ms. Alexander has overlooked what is most important: the quest for peace. Within days of winning the Six-Day War in 1967, Israel offered to return the West Bank and other territory in exchange for peace. That first offer has been followed on numerous ocassions with offers to return up to 97% of all territories won from Jordan in 1967, including the West Bank. The reason that we do not have peace is not because Israel stands in the way. On the contrary, it is Israel—only Israel—that has made generous offers for peace. In response to those gestures and concessions, The Palestinian leadership started the first and second intifadas when bombs exploded in pizza restaurants and on crowded busses, killing hundreds including women and children. Find us a partner with whom Israel can negotiate a peace, restore dignity and security to all who live in the land, within defensible borders and allow that society to grow and be strengthened in peace. Ms. Alexander, as you celebrated MLK Day, you exploited his legacy and contorted his words to fit your anti-Israel positions. With a pulpit larger than those at which Rev. King spoke, you have polarized your readership, given support to radicals and extremists on both sides and squandered your chance to support the real forces for peace. The vast majority of the Jewish Community will read your words with dismay and disappointment. If I had to guess how MLK, with his emphasis on making peace and finding common ground, would respond to your words, I believe that he would have been disappointed and saddened as well. Note: Monday, January 21 is Tu B’Shevat and Martin Luther King, Jr. Day and minyan will begin at 6:45 AM as usual. Caron and Asher Hyman on the engagement of their daughter Leah to Scott Barrett. Lori and Steve Dabrow on the birth of a granddaughter, Dara Skye Dabrow. Lori Cooper, on the publication of her book, Living Well: 99 Stories from the Mikveh. Avram Pollock on this loss of his uncle, Mischa Pollock (z"l). Steve Berger and Jeff Berger on the loss of their mother and grandmother, Betty Berger (z”l). David Urberg and Jacob Ufberg on the loss of their grandfather, Samuel Wilf (z”l). Ardmore Food Pantry is opening their pantry to all federal employees on Mondays from 10 AM - 12 PM and 6:30 - 7:30 PM. Bring your federal employee ID. 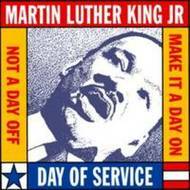 We are exploring the possibility of doing collection drives following MLK, Jr. Day. If you have any ideas or thoughts, please reach out to Ken at kkrivitzky@tbhbe.org. THIS Sunday, January 20, TBH-BE will spend the morning at the Jewish Relief Agency (JRA). On Monday, January 21 between 10 AM - 1 PM, join us for a morning of activities and concluding with a delivery of baked good to First Responders. We are accepting donations of various non-perishable foods and self-care items through Monday morning, January 21. As part of our sixieth anniversary celebration, we recognize Rita Ross as this year's Torah Fund honoree. 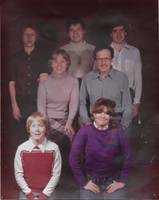 Rita has been a TBH-BE member for more than fifty years, raising her five children (pictured here in 1978) as part of our congregation. Please save the date for the Torah Fund Brunch on Sunday, April 7. 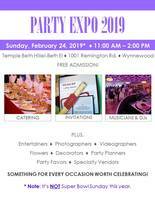 Know any good DJs for possible Party Expo vendors? Email batyawarshowsky@comcast.net. Please take a few minutes to take an 8-question survey to assess interest in and a need for a summer program that would provide lunch and other nutritional support when school is not in session and school lunch programs aren't available. Respond by January 25. Jill Altman-Caffery on her marriage to Kate Caffery. Judith Scarani on the engagement of her daughter, Sydney to Vic Shnegelberger. On Sunday, January 20, TBH-BE will spend the morning at the Jewish Relief Agency (JRA).